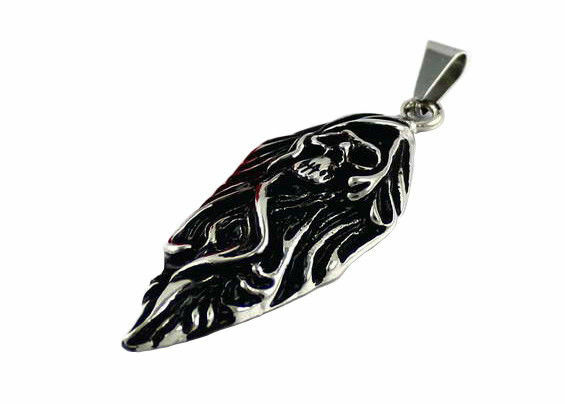 This pendant is in the leaf shape with skeletons patterns. Plating color: Rhodium, black, silver, gold, rose gold, etc. Material: 304 Stainless steel or 316 stainless steel or titanium, it’s up to your requirement. We can customize your own logo.